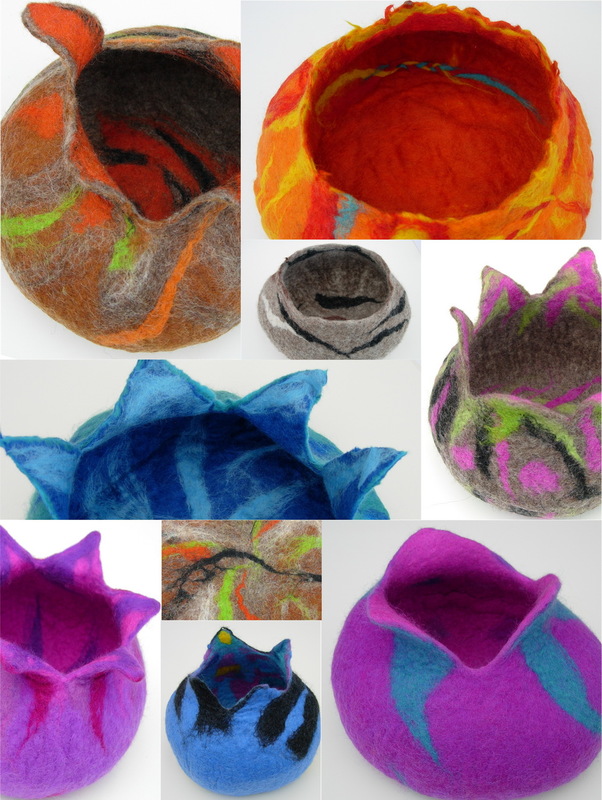 'Soft Pots' was a term I began using very early on, as it described my felted bowls and pots perfectly. I started making bowls as gifts for friends, who used them to keep their knitting in, sewing bits & pieces, buttons, cotton reels, shell collections, dried flowers - anything like that! Being so soft the bowls are also perfect for jewellery - you can pin earrings and brooches to the sides… And use them as big pin cushions when you're sewing. 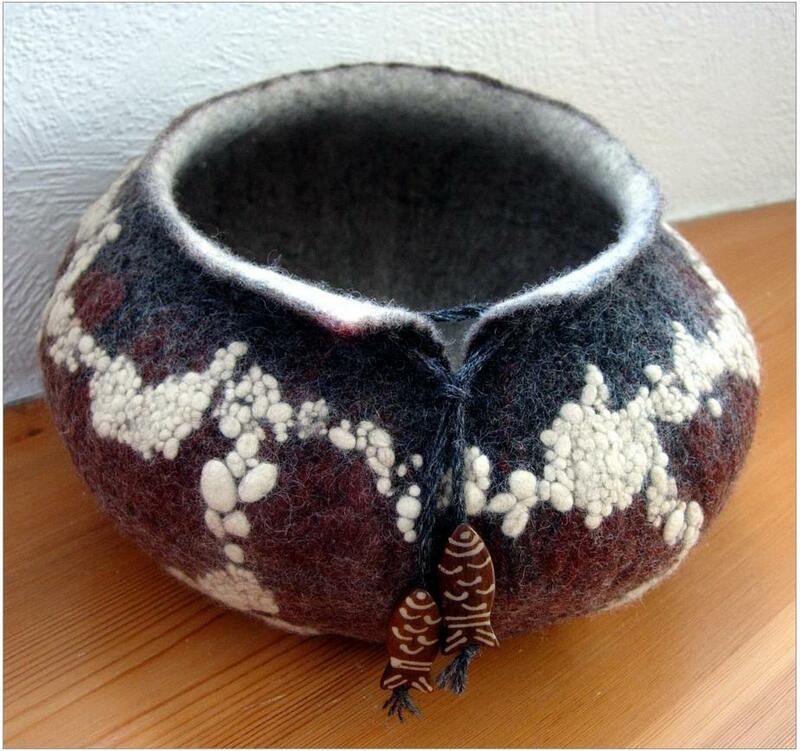 I also love making soft pots using the wonderful range of natural coloured fibres. They come close to resembling ceramic pots, with similar characteristic shapes and colours, yet remain soft and felty! KC and I have collected ceramics for many years and they're all around the house. Some old favourites are used everyday - milk jugs, mugs & plates, cereal bowls, casserole dishes - others are purely decorative, but they all serve an equal purpose, they're a pleasure to have around.